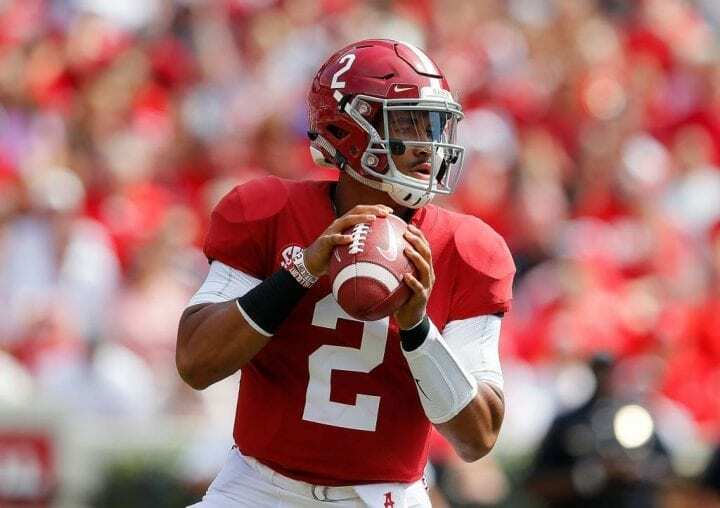 In a move just too delicious to pass off as a simple appetizer for the 2019 college football season, quarterback Jalen Hurts announced Wednesday he is transferring to the University of Oklahoma for his senior season. He made the announcement the way athletes tired of Twitter often do these days. He knelt in the confessional known as The Players’ Tribune and let his emotions run raw. No, thank you, Jalen. You’ve set stage for what might be the most delectable delight of any college football matchup Lee Corso and the boys at the round table could hype. Can’t you just imagine the scene that would play out at next season’s College Football Playoff if the Crimson Tide should play the Sooners again in either the semifinals or National Championship Game? The Tide comes on the field with Tua Tagovailoa, likely a Heisman Trophy semifinalist or winner. And the Sooners break huddle with Hurts, who backed up Tagovailoa in 2018. Maybe Hurts will have won the Heisman. Hurts was just not your everyday Tide backup. He was the SEC’s offensive player of the year as a freshman, 26-2 with two national championship games in two seasons as the Tide’s starter. He threw for 4,861 yards, 40 touchdowns and 10 interceptions and rushed for 1,809 yards and 21 touchdowns. 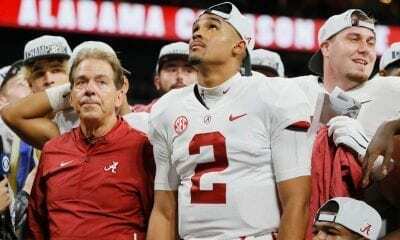 And then Tagovailoa replaced a struggling Hurts in the second half of the 2018 national title game against Georgia and led the Tide to a comeback win in overtime. Mental monuments to the Hawaiian were built in Tuscaloosa. Tua was Joe Namath in a lei. Alabama coach Nick Saban, never known to squirm, was between a rock and a hard place. What to do? What to do? Here’s what he did: Tagovailoa beat out Hurts out for the starting job this season. Hurts didn’t just stand around all season. Since Tagovailoa was usually out of games by the fourth quarter of Tide routs, Hurts grabbed the mob. He played in all but two games, completing 51 of 70 for 765 yards and eight touchdowns and rushed for 167 yards and two TDs. To borrow a line from Richard Rodgers (look him up, kids), Hurts was bewitched, bothered and bewildered. But he hung with the Tide, even won the SEC Championship for them on Dec. 4 when Tagovailoa was sidelined with the bad ankle that required surgery the next day. Still, he was smart enough to understand Tagovailoa would be the starter in 2019, with Bear Bryant’s grandson one of the freshman backups. So, Hurts decided he needed to spend his final season of eligibility somewhere he would play. And it just happens to be at the place that’s produced that last two Heisman Trophy winners, Baker Mayfield and Kyler Murray. Hurts was history the moment he entered the fabled “transfer portal” last week. This portal is akin to a bullpen for players interested in transferring. Once in, other schools know it’s safe to come a callin’. It was Hurts who picked up the frequent flier miles. He stopped at Maryland on Friday, jetted to Norman on Saturday, showed up at Miami on Sunday. 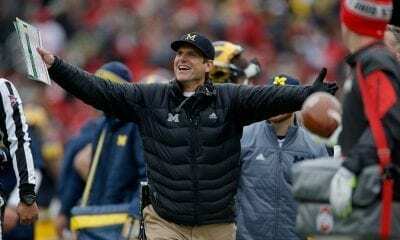 There were rumors that Auburn, Tennessee, Utah, Florida State, UCLA and Ohio State all were interested, too. Just the other day websites that make their living assigned betting odds on this and that called Maryland the heavy favorite to land Hurts. This was because former Alabama offensive coordinator Mike Locksley is the Terps’ head coach. See what happens when you gamble, young man? Hurts has graduated from Alabama, so he can play right away for coach Lincoln Riley and his high-flying offense. He will play, especially now that Austin Kendall, a rising junior, has stepped into the portal, as well. He’s as good as gone and there would be only two scholarship QBs left on Oklahoma’s roster, although one’s last name in Rattler and that would fit in nicely with the Southwestern décor. At Oklahoma, Hurts will have weapons comparable to what he had at Alabama. Receiver CeeDee Lamb and halfback Kennedy Brooks return to an offense that averaged 8.5 yards per play. That’s the most any Division I offense has ever averaged in a season. If Hurts can take the Sooners back to the CFP – and they will be heavy favorites to win the Big 12 – it would be the fourth straight he will play in. Hurts has also been in the last three Championship games, beginning as a freshman in 2017 when Deshaun Watson led Clemson to a win over the Crimson Tide. What Hurts announced on Wednesday makes you wish the college football season was starting again next week. 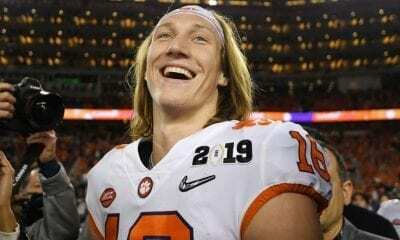 But in Alabama, between Trevor Lawrence and the specter of Hurts on the other side of scrimmage, it’s a day to think about what might have been.